ODOR: No MCL,recommend < 2. Scale 0 = none, 1= very faint, 2=faint, 3=distinct, 4=decided, 5=strong. Good well water should be free of odor. TURBIDITY: No MCL, recommend <5. A measure of particles in the water, usually indicates iron. pH: No MCL, recommend range is 6.4-10.0. pH ranges from 0 – 14. A pH of 7 is neutral, <7 is acidic, >7 is basic. A pH of less than 6.4 is considered acidic in reaction and may be corrosive to piping. COLOR: No MCL, recommend <15. High color usually indicates the presence of iron. NITRITE NITROGEN: MCL is 1.0 mg/L. An intermediate breakdown product of organic matter. See nitrate comment. NITRATE NITROGEN: MCL is 10.0 mg/L. The final completely oxidized state of nitrogen. Levels above 10 are known to be harmful to infants. Pregnant/nursing mothers and parents of infants should consult with a physician. CHLORIDE: MCL is established at 250 mg/L. This parameter is an exception to the MCL rule. Although the Chloride content may be above 250 mg/L the water is still, in most circumstances, safe for drinking. Chloride is the non-metallic portion of common salt. Levels above 50 mg/L may indicate undesirably high sodium levels and it also may appreciably increase corrosion rates. Levels above 250 mg/L impart a salty taste noticeable to most people. HARDNESS: No MCL. Hardness is a measure of the total calcium and magnesium in water. Waters over 100 mg/L are described as hard and levels over 250 mg/L are considered very hard. The effect of hardness is to increase the amount of soap necessary to form suds with water. High levels may also increase scaling on the inside of water pipes. IRON: No MCL. Above 0.3 mg/L iron may cause staining to laundry and fixtures. Iron is naturally occurring water mineral due to the geology of the area. > 0.05 mg/L may cause staining. SULFATE: No MCL. Sulfate is a naturally occurring substance in water, levels above 250 mg/L may impart a bitter taste and render a laxative effect. This laxative effect usually subsides once the body becomes adjusted to drinking the water. SODIUM: No MCL. A notification level of 28 mg/L has been established for people on low salt diets, high levels may increase the corrosive effect. TOTAL COLIFORM BACTERIA: MCL is zero. This analysis includes those organisms found in the Coliform Bacteria group. Coliform Bacteria are found in the intestines of warm blooded animals and in soil. Found in drinking water, it can be an indication of septic contamination or of surface water entering the well. 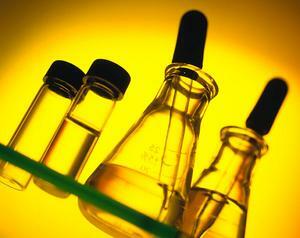 ORGANIC CHEMICALS (VOC): MCL, see report for a listing of the individual chemical MCL. VOCs are gas chromatographic scan of 58 compounds. This list was determined by the Connecticut State Department of Health and the EPA. These compounds include some of the more commonly found ground water contaminates. 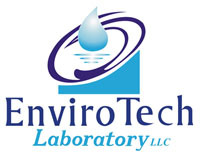 MCL: Maximum Contamination Level, if the test result is at this number or above, the test parameter exceeds the level permited by the Connecticut State Department of Public Health and the Federal EPA. The MCLs listed below have been established for residential well water. MCLs of Public Water Supplies can be different. Results are in mg/L (milligram per liter) which is equal to ppm (parts per million). RADON IN WATER: Action Level is 5,000 pCi/L. Radon is an odorless, tasteless, naturally occuring gas. Above 5,000 pCi/L it is recommended to remove it from drinking water. High levels of radon does not affect the potability (safe to drink) of the water. The draw back to radon in well water is that while taking a shower the radon gas escapes and enters the atmosphere. Now in the air, people are able to inhale it and increase their exposure rates. This type of exposure is of particular concern to children who bath in a tub, therefore, increasing their exposure time.